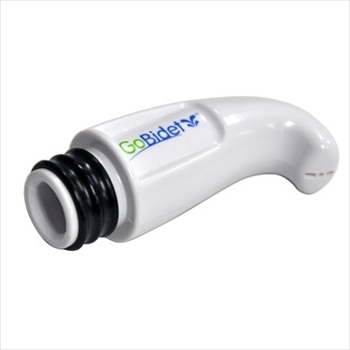 This GoBidet travel bidet nozzle is perfect for traveling or when you are away from home for the day. Unlike most portable bidets, this nozzle is lightweight, discreet and works with the majority of water bottles currently available on the market. It is simple to use and does not require batteries; just insert the nozzle onto a 500 ml bottled water and it is ready for use. This nozzle comes in a convenient 2-pack for travel anytime, anywhere. GoBidet Travel Bidet has 1 year warranty from the original date of purchase.